The district’s comprehensive security infrastructure have earned it SSI’s Integrated Installation of the Year (Single Site) Award. 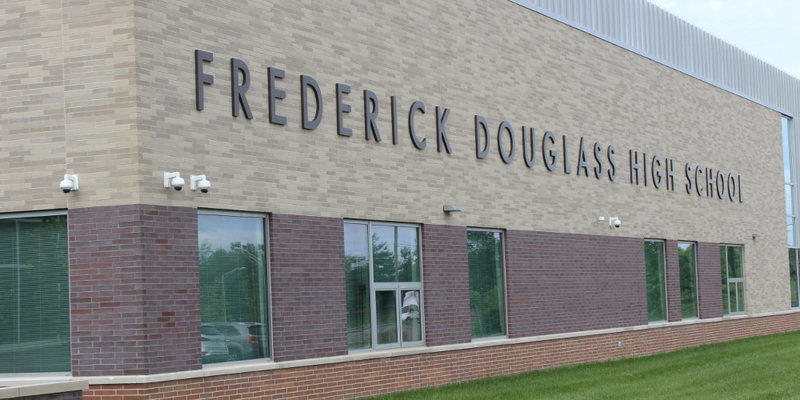 At Frederick Douglass High School, Bates Security installed a 192-camera system, access control with intercom and ID badging, and intrusion detection. Via Sonitrol of Southwest Ohio, monitoring includes verified video and audio. As improving school security has become a national hot button topic, Fayette County Public Schools (FCPS) in Lexington, Ky., has taken a particularly proactive approach. FCPS’ newly constructed Frederick Douglass High School is serving as a potential model for educational institutions nationwide to emulate. Bates Security, a highly regarded locally based company, was signed on to design and install a comprehensive solution that was to include an advanced 192-camera video surveillance system, access control with intercom and ID badging, and intrusion detection. Check out the slideshow to see the security systems in action! 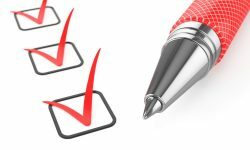 On top of that, in partnership with Sonitrol of Southwest Ohio, monitoring of the system will include both verified video and verified audio detection, as well as the ongoing health of the system itself. Crushing the criteria of innovation; systems design; integration of at least three electronic systems; seamlessness of installation; uniqueness of application; ease of operation; and end-user satisfaction, the project recently earned Bates Security the distinction of Campus Safety sister publication SSI’s 2018 Integrated Installation of the Year (Single Site) Award. 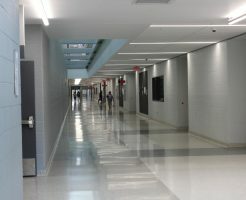 Having worked with Fayette County Public Schools for some 20 years and providing services to more than 70 of its facilities, Bates Security was well aware for years of the opportunity the renovation of the 2,000-student, 350,000-square-foot campus of Frederick Douglass High School presented. Nevertheless, the nature of the project still required the dealer to submit a bid, which was part of the electrical contractor’s submission. In short, FCPS stakeholders sought a state-of-the-art security solution to keep nearly 2,000 students, staff and educators safe. As part of the design process, the end user selected which doors they wanted to be able to control access to and where they wanted to place cameras to access critical viewpoints. With funding provided through the Kentucky Department of Education, the contract was finalized in August 2015. It would be another 24 months before the complex installation was complete. In addition to the system’s components, the project would involve the pulling of approximately 59,000 feet of cabling — or about 16 miles’ worth. The installation itself began in August 2016 and would require 980 hours of billable time. The labor-intensive undertaking necessitated the near-flawless coordination with a multitude of other contractors and FCPS personnel. Along with the Bates Security/Sonitrol team, architects, engineers, building maintenance, school officials and law enforcement all played roles in determining the needs of the school and designing the system to fit those needs. Click here to view the slideshow of the installation! The massive wiring portion was handled by electricians, with Bates dealing with all the other installation and trim-out duties. The end user’s IT staff set up the network to allow the surveillance cameras to be viewed from remote software throughout the district. Those were among the challenging situations and circumstances where Bates’ long relationship with the district and its people bore fruit. Here, the IT folks were responsive to assist and meet the security provider’s needs without the fuss that might have otherwise been encountered. Speaking of which, Moberly’s decision to establish a strong rapport with the GC and EC from the get-go also helped things. A wide variety of leading-edge equipment was specified and deployed on the Frederick Douglass High School grounds. In fact, Bates Security used just about every type of device it sells and services, including Interlogix door contacts, Honeywell motion detectors, 3xLogic dome cameras, Sonitrol bullet cameras, Honeywell and HID card readers, electric latches, electrified door handles, Sonitrol impact-activated audio sensors and 3xLogic NVRs with the ability to livestream to the central station when alarms are detected. 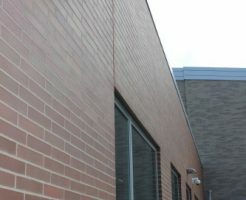 One of the top highlights of the solution is the Sonitrol intrusion detection system, which was completely customized to meet the needs of the school. This unique audio detection approach provides comprehensive coverage and detects attempted break-ins through ceilings, walls, doors and windows. When a questionable sound is detected (e.g. a thud, glass breaking), the system alerts a Sonitrol central station operator. This highly trained sound analyst then determines the nature of the threat and, if warranted, contacts the appropriate authorities. With controlling and monitoring traffic into buildings and sensitive areas being critical for schools, another particularly noteworthy facet of the solution is the Sonitrol managed access control and photo ID badging. 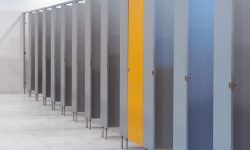 It allows educators and administrators to limit access to designated areas or throughout the facilities by time of day, employee, or other criteria they deem necessary. More than a dozen doors are managed through Sonitrol and the entire access system is integrated with the verified audio detection. In addition, every door has a strike and motion detection, and every entry has a sensor and panic button. On the surveillance front, Bates partnered with 3xLogic to outfit the campus with the vendor’s VIGIL Central Management intelligent video system. The system includes 60 indoor and 132 outdoor HD IP cameras with analytic software for verification and network health monitoring. The cameras’ wide dynamic range automatically adjusts to environmental lighting and allows school facilitators to see out of a sunlit room or in near pitch-black darkness. The cameras record to six 3xLogic servers in the school, with video verification at every entry door. Some other specifics of the solution include: A badge printer and software allowing the school to create its own ID badges; 59 door contacts, 25 360° motion detectors, 79 impact-activated audio sensors with glass-break technology, three keypads at entry points and two panic buttons as part of the intrusion system; school principals and law enforcement all have remote viewing software on PCs or laptops, including a 70-inch touchscreen monitor located in the school’s law enforcement room; and the fire alarm is integrated to release the access control on alarm. Due to a tight timeline, Bates Security’s training of system users began in earnest even before the installation was complete. Between finalizing the project and the opening day of school, and as a consequence of limited participant availability, company representatives had to conduct four separate training sessions with the campus’ principals. Training for law enforcement on the remote software was completed in one two-hour course, with every officer from all FCPS high schools taking part. Once completed, the interconnected systems allow both Bates and Sonitrol of Southwest Ohio to determine issues immediately. At the same time, remote access keeps school staff and administrators immediately aware as well. School law enforcement has access to the camera system from any other school; in fact, the entire system can be supervised by any device with Internet access and conveniently via mobile app. This of great benefit for dispatch as they have the ability to see inside the school in the case of an emergency so officers can assess the situation before arriving onsite. The system is now being used throughout the day to monitor exterior doors, interior hallways, cafeteria, auditorium and the gymnasiums. 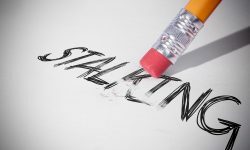 Since it went live, there have not been any major incidents of intrusion, burglary, vandalism or trespassing reported by school facilitators or alarm points. However, school officials have found the system of high value even in the course of conducting basic daily operations. According to Moberly, the Frederick Douglass High School job was one of the most efficiently run projects Bates Security has undertaken. With the equipment coming in on budget and the labor under, it’s no wonder the end user was elated with the aesthetics, function and features of the system. “School staff and law enforcement is extremely pleased … Everyone seemed very satisfied,” says Brumfield. Now that is an impressive report card. View the slideshow of the security system!